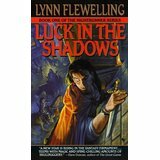 Lynn Flewelling’s Nightrunner series is one of my all-time favourites. Alec and Seregil are lovable characters who grow and change over the novels. Their romance is slow-burn over the first couple of novels but that makes it all the more moving when they do get together. The setting is intricately created and fascinating but never over-whelms or slows down the plot which races along and is full of twists. 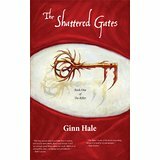 Ginn Hale mostly writes fantasy novels along with a few paranormal stories and an excellent science-fiction piece. 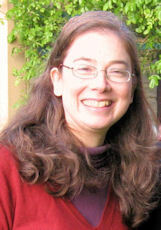 She has a wonderful imagination, creating intriguing characters, complex societies and fast-paced plots. Her ten-part Rifter series is my favourite, having an engrossing plot and characters you really care about. Sarah Monette writes angst like no one else. She makes you love her characters and not want to put her books down until you learn whether they will ever find happiness. 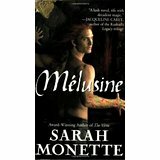 I particularly recommend her four-part Doctrine of Labyrinths series, starting with Melusine, and the Iskryne World trilogy she has written with Elizabeth Bear which has an amazing Viking-style fantasy world along with wolves that bond with people. 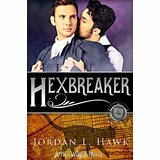 Jordan L Hawk is another writer whose worlds you can fall into and never want to leave. 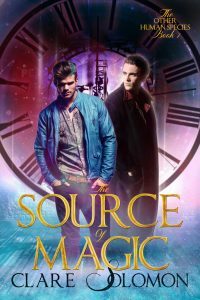 She writes paranormal novels – reviewed in my article below – with a fresh perspective and characters who quickly feel like old friends. 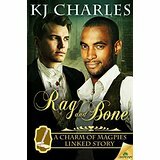 K J Charles writes a mixture of historical and fantasy novels with the fantasy books taking place in an alternate historical world where magic exists. I reviewed the fantasy novels below and also have a particular liking for Think of England, set in 1904, with the main character returning home injured from war, which puts complex characters in deadly situations. I believe there’s a sequel to this being written, which I look forward to reading. 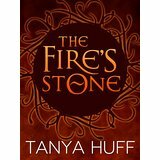 Tanya Huff writes full-length novels in a mixture of general and gay fantasy, science-fiction and supernatural. I love the humour and depth she brings to the characters. Her m/m novels include the Smoke supernatural series, The Fire’s Stone fantasy novel and urban fantasy, Gate of Darkness, Circle of Light. 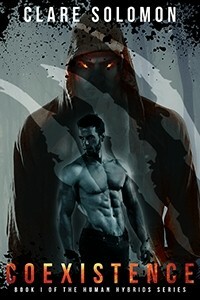 (You can buy the 2 novels together in the book Of Darkness, Light and Fire.) The Victoria Nelson supernatural series, which I love, has a bisexual major character, although the romances are heterosexual. Mary Renault is a brilliant writer who brings her historical novels to life with scholarly ability while keeping the plot moving along at a good pace. 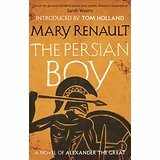 She mostly writes gay novels, including the wonderful Alexander the Great series, The Last of the Wine set in ancient Greece, and the groundbreaking classic gay novel The Charioteer which was first published in 1953. 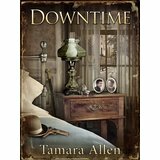 Tamara Allen has a beautiful writing style that brings her historical m/m novels to life. I particularly love Downtime, where a modern FBI agent accidentally finds himself stranded in 1888, and The Only Gold. Joanna Chambers writes wonderful historical novels as well as the first book in a fantasy series and Humbug, a festive m/m novella version of A Christmas Carol! In particular, her Enlightenment historical series is realistic, un-put-down-able and has great characters. 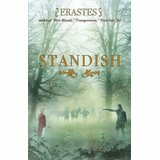 Erastes writes historical novels with skill and complicated characters that you either love or hate. I adore Standish, festive novella Frost Fair and the heartbreaking Junction X, but seriously hate the actions of one of the main characters in Transgressions! 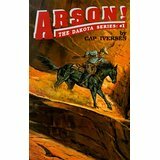 Cap Iversen has the Dakota series of gay Wild West novels with likeable characters and exciting, fast-moving stories. M J Pearson, if you can get past the over-the-top humorous book covers, has 3 m/m historical romance novels that are action-filled and thoroughly entertaining. I hope these recommendations provide some good reading – if you want to let me know your own favourite authors I would love to hear about them.